When you need a new roof, there are plenty of things to consider—choosing the perfect color, selecting a material and style that works best for your home and personal taste, and even sticking to a particular budget. And while all of these decisions matter, there’s an even more important one to consider. 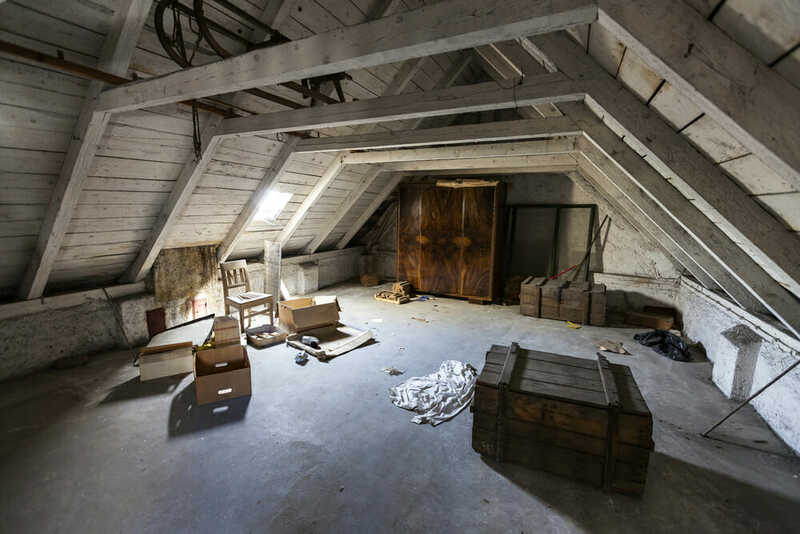 What lies under your roof—the attic and how it breathes and is vented—can greatly impact the life of your roof system. A balanced attic ventilation system that consists of intake at the eaves, soffits, or fascias of the roof, and exhaust at or near your roof ridge, serves two important functions. First, it allows cool, fresh air to enter into the attic. Second, it allows hot, moist air to escape. Even though a balanced ventilation system in your attic is crucial for regulating temperature all year round, it’s especially important during the hot summer months, when the sun beats down on the roof and causes the attic to heat up even more. Improper ventilation can contribute to heat and moisture buildup in the attic and can even increase the temperature in your living space. Excessive heat and moisture can cause damage to shingles, wood framing, ceiling, siding, paint, and wallpaper. Another effect of improper ventilation is that it may increase cooling energy consumption. A hot attic in the summer will cause a rise in a home’s temperature—which homeowners will battle by blasting the air conditioning and fans to keep the living space comfortable. To keep up with the added heat, these units and appliances will need to work even harder to perform, which causes a spike in summer cooling costs. Ventilation is not just an issue in the hotter months of the year. During the winter season, appliances as well as showers, baths, cooking, and laundry can contribute to extra moisture build-up and water vapor in the attic. When an attic is not properly ventilated, this moisture collects on the underside of the roof. It then condensates and can soak the insulation and reduce your home’s energy efficiency. Excess moisture can also cause damage to the structure of the house, like rotting, and can even attract wood-eating insects like termites. During cold weather in northern climates, improper ventilation can be a factor in the formation of ice dams. This occurs when the snow and ice on a roof melt from an attic that is too warm, then refreezes at the gutters and builds up along the eaves, forming a dam. When it melts, it can cause water to flow under the shingles and down the deck into your home through the walls, windows, and/or ceilings. Proper ventilation allows the necessary cold air to mix and cool the hot air from the house, which slows down the snow melting and helps reduce the risk of ice dam formation. The U.S. Federal Housing Administration recommends a minimum of at least one square foot of attic ventilation (split evenly between intake and exhaust) for every 300 square feet of attic floor space. This 1/300 rule is general and may not apply to all buildings. It’s typically the minimum recommended standard that should be used for ventilating attics. But make sure you do not over-ventilate, since too much ventilation can be a problem as well. An excess number of roof penetrations can cause leaks and other problems during extreme weather. If you are not sure if your attic is properly vented, or if you’ve had high cooling and heating bills in the past, now is the time to call a reputable roofing contractor in your area, who will check your attic and roof to determine that you have the proper amount of ventilation your attic requires. And since windows, doors, and appliances can also waste energy if not addressed or maintained properly, take a further look around the rest of your home to address energy efficiency and keep your home as comfortable as possible. The Department of Energy has some useful tips to help you audit the energy-efficiency of your home and save money. This guest post was contributed by GAF.